There is a bit of mystery behind the schedules and lifestyles of artists because they are traditionally and historically (or maybe just stereotypically) such private // secluded people. But, I don't follow the rules or fit the mold, so I will be sharing some "behind-the-scenes" stories in the next couple of weeks with you guys to give a little glimpse into the life of Megan Elizabeth! On the days I work in my studio, one of the most important parts of being productive for me is forming a little routine. For me, it's sort of a ritual that gets me thinking and prepared to make a painting. I light my favorite vanilla candle (it has to be vanilla! ), turn on my Spotify playlist and take some deep breaths before I make a giant mess and go crazy. My husband often describes the process as a dance, because I move so quickly and work almost frantically to beat the paint before it dries. Since I paint in acrylic, the drying time is really fast (minutes, if placed in a thin layer), so it helps me to stay focused on the work and paint my little heart out. Enjoy the Art by Megan playlist and stay tuned for more updates on the life of an artist! Feel free to follow along on instagram @artbymegan and on Snapchat : artbymegan1. 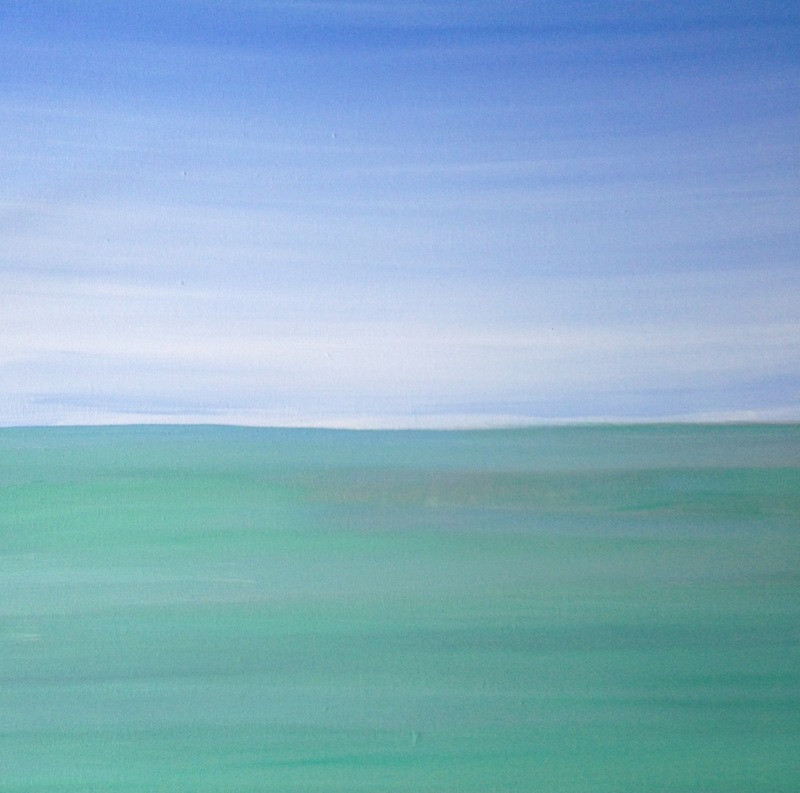 New work: "Coastal" 30x40, listed in my shop!